An inspirational and insightful autobiography of Caroline Bramwell's Ironman dream. When you purchase a book through our site, we may earn an affiliate commission. 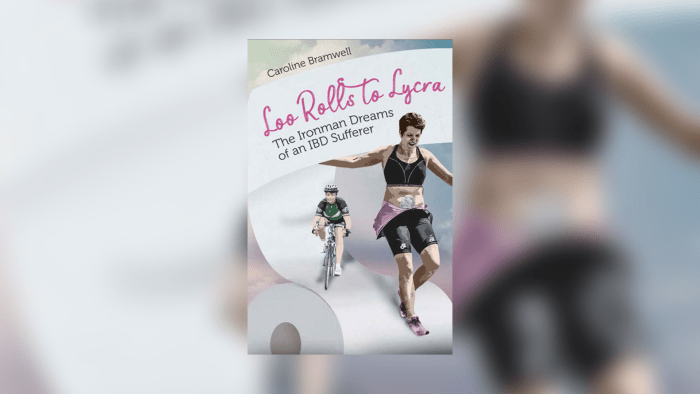 Loo Rolls to Lycra: The Ironman Dreams of an IBD Sufferer is the inspirational and insightful autobiography of Caroline Bramwell, a wife, and mother who believed her life was going down the toilet when she was diagnosed with ulcerative colitis. With an encyclopedic knowledge of every public toilet, bush or tree to dive behind, and after numerous extreme dietary regimes, Caroline elected to have permanent ileostomy surgery. A self-confessed couch potato, Caroline turned to sports after recovering from surgery, dispelling the "you can’t do that" attitude by announcing her London to Paris 24-hour cycle ride. Her enthusiasm for triathlon was lit after meeting Ironman world champion, Chrissie Wellington. She has competed at all triathlon distances, including the full Ironman UK, and has become one of the UK’s leading ostomy triathletes. Loo Rolls to Lycra is the epitome of the self-belief that anything is possible.